Misty mornings along the Rio Grande are a rare occurrence in the high desert of New Mexico. Looking across to the cottonwoods and willows, I saw the lake as a living impressionist painting. A lush environment in the high desert of the Colorado Plateau. 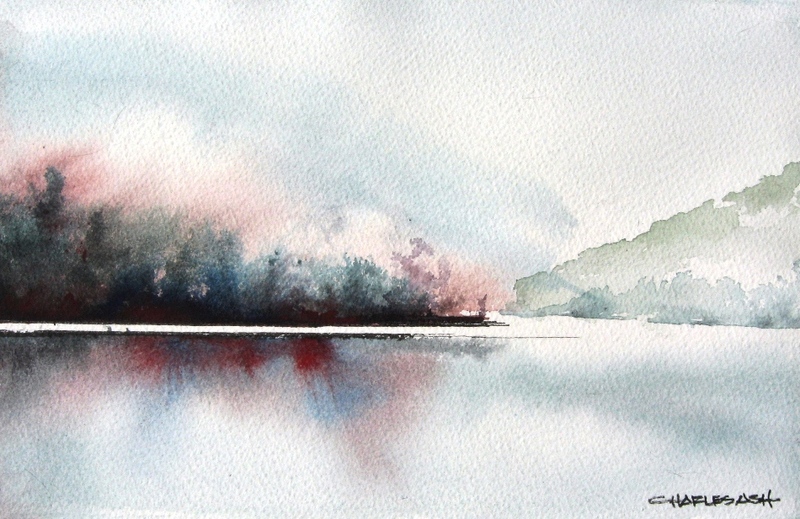 Another in a series of watercolors working to achieve a minimalist feel. A fun way to bust loose and explore with watercolors using quick strokes with a Japanese writing brush on rough watercolor paper. 11 1/2" x 7 1/2" image size, 16" x 20" mat, ready to frame.